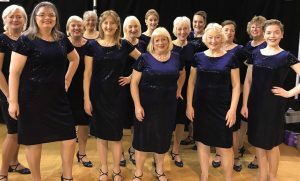 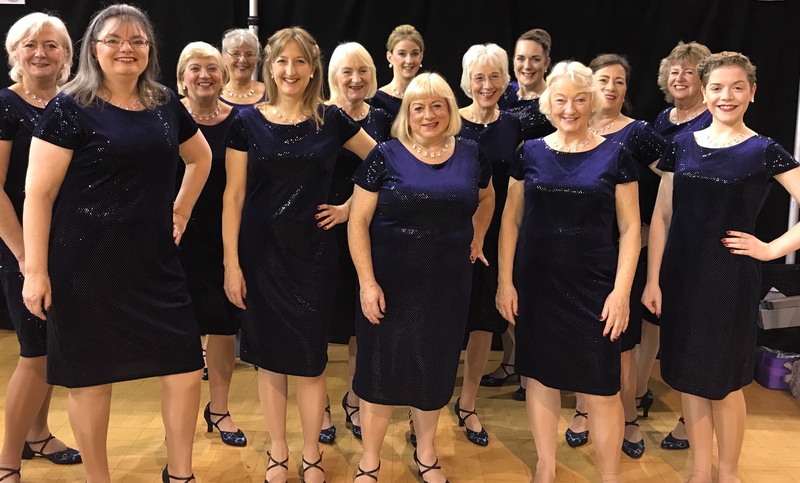 Fascinating Rhythm are a 50+ strong Ladies Barbershop Chorus. 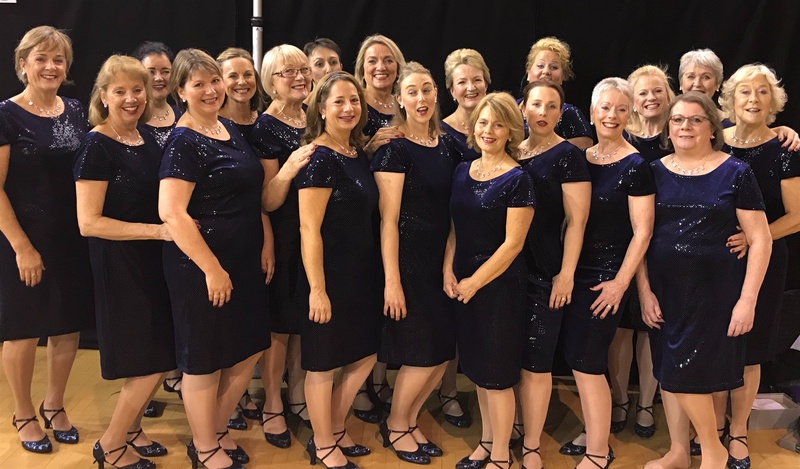 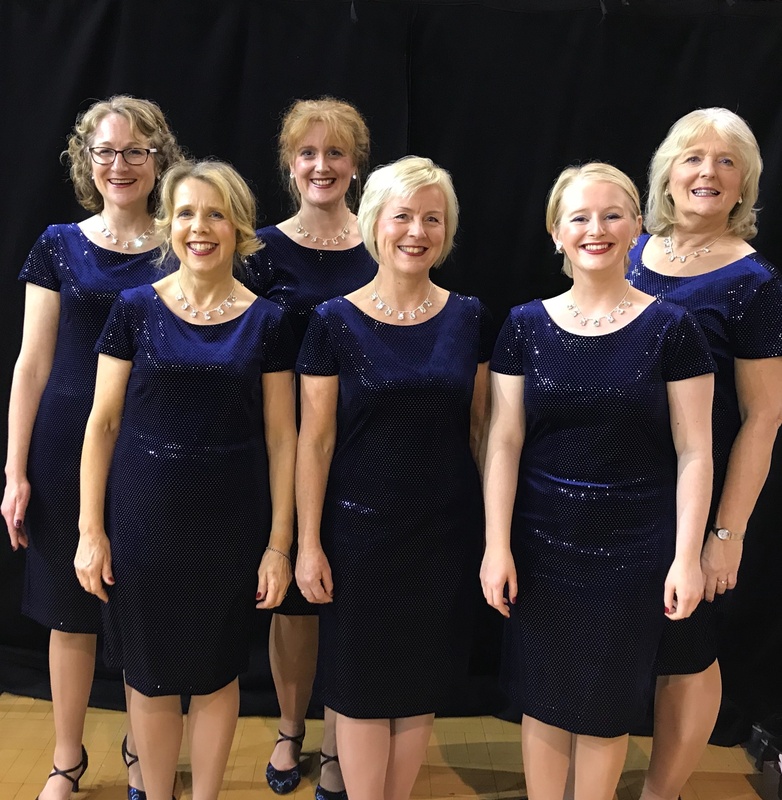 Like all singing groups, our voices are organised into different voice sections and, in Barbershop singing, these range from the highest voice, Tenor, down the scale through Lead, Baritone to the bottom with the Bass section. 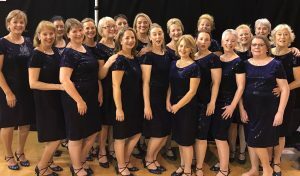 Each section has its own leader supported by an assistant, and the whole chorus is directed by a Musical Director (MD). Each song is learned by heart – we don’t sing with sheet music in Barbershop which means that we also don’t have to stand still while we sing. 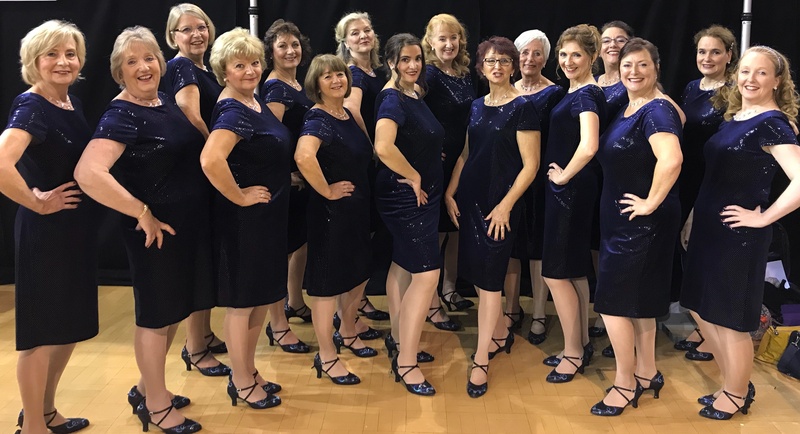 To make the most of this opportunity, we also have a choreographer who helps to create the right visual effect for song staging.